The badge is not a badger; it is a beaver. 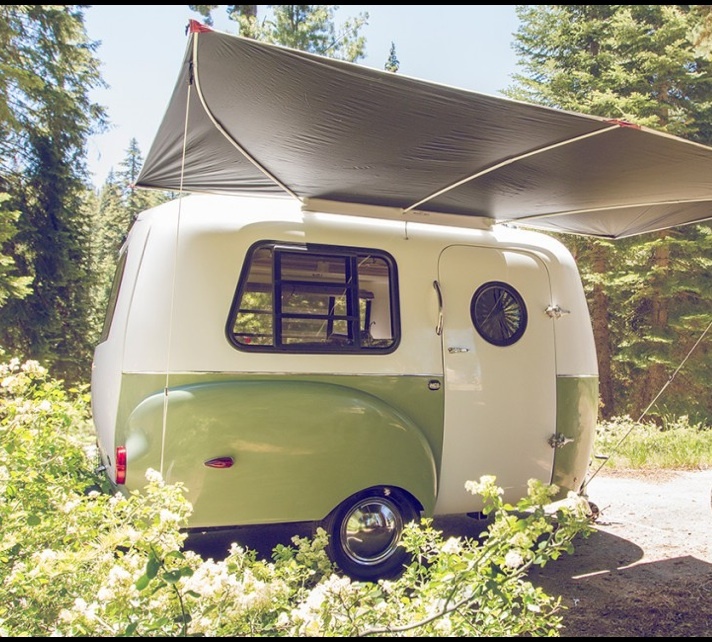 No, it didn’t go like this–this is the Happier Camper I discovered recently. THIS I might be able to handle! 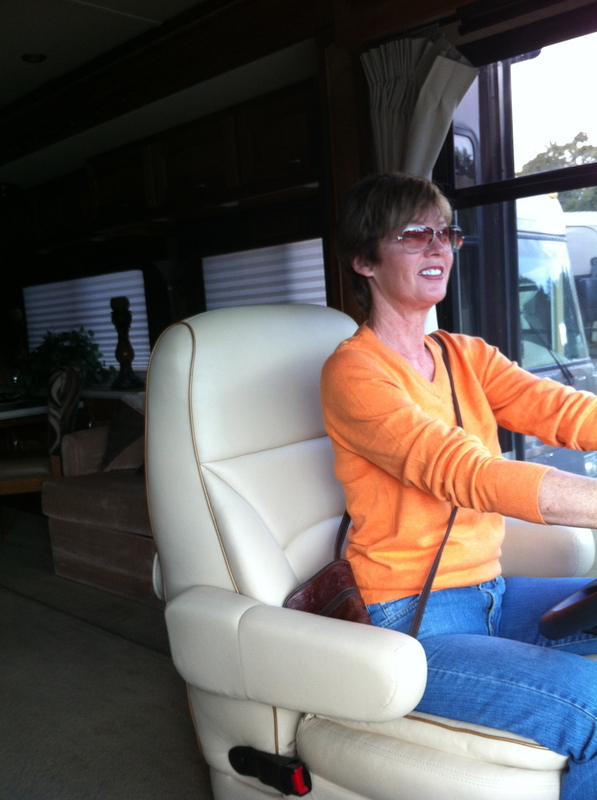 One day, I found Karyn perusing travel trailers and motor homes on line. She thought that with my retirement, it would be “fun” to travel around to the many cool places in this country one or both of us have yet to see. For one trip, she wanted to show me the Grand Canyon. I wanted to show her the Pacific Northwest and western Canada. We both wanted to travel the length of the East coast. And we wanted to do so without having to worry about hotels that take a dog, motels that are creepy and Bed & Breakfasts that are long on charm and short on privacy. 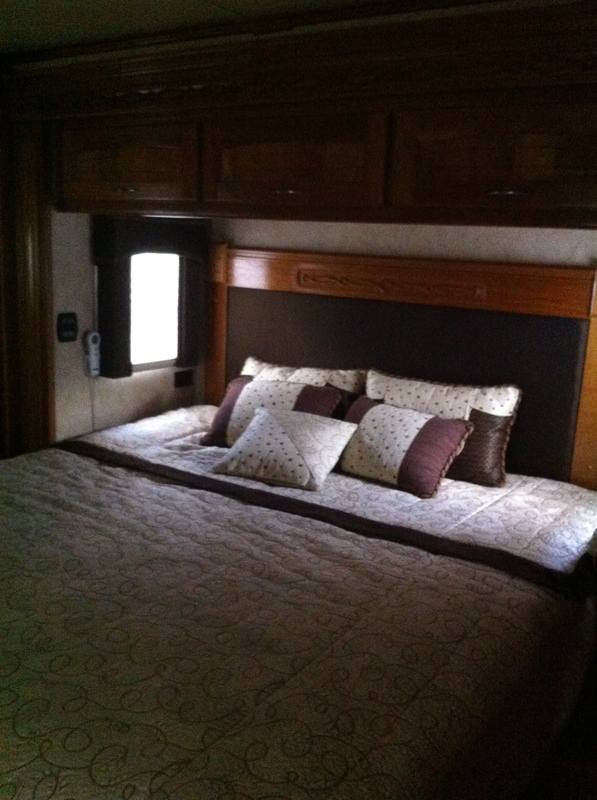 Within an hour, we drove to our local RV lot. 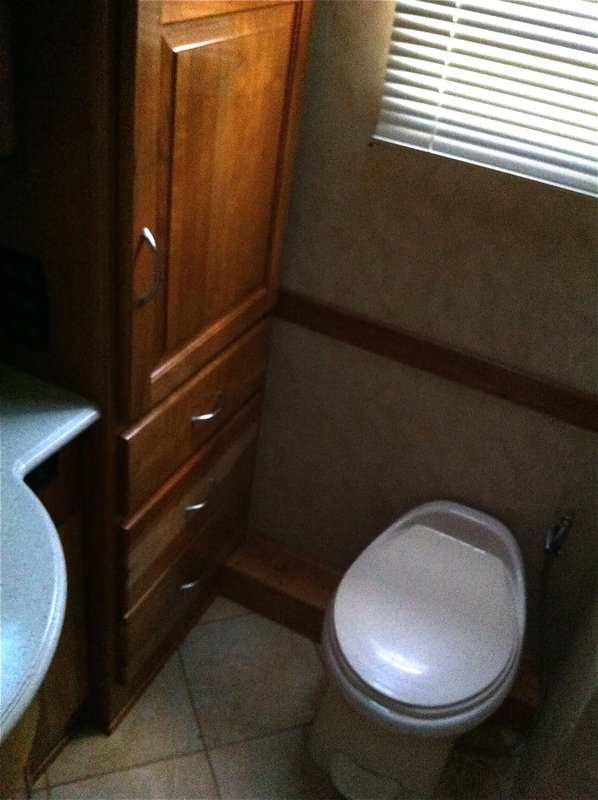 Their RVs were used but in very good condition, it was close, and I knew the owner (always have to keep “the deal” in mind). It didn’t take long before the salesman got tired of us when we said we had to see every one on the lot because we were “new at this.” He found another customer who was not so new at it and had some cash to burn. I was done looking after a half hour. So done, really. But from somewhere on the lot, I heard, “I found it! I found it!” I knew that voice, so I braced myself and went in search of the enthusiasm I already did not share. Karyn had found a Beaver. And she liked it. I did not. 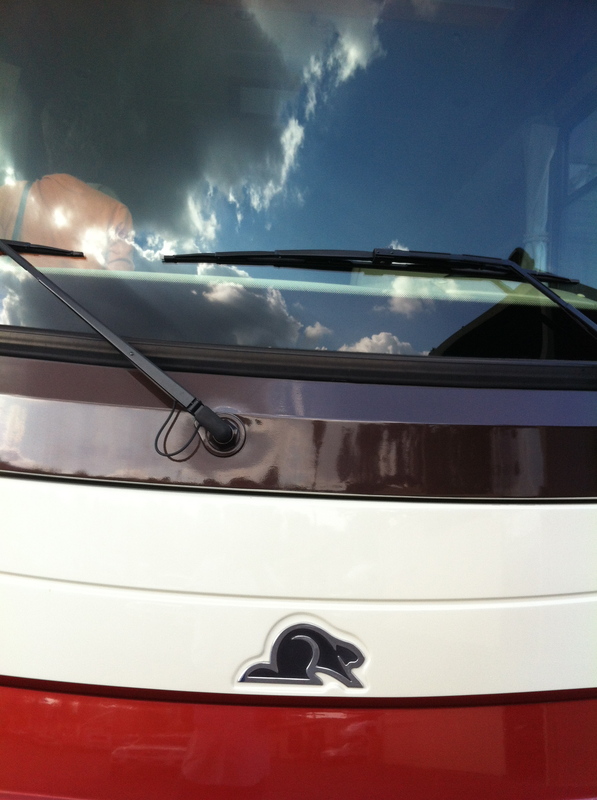 I mean, sure, for a decorated Greyhound bus, it was marvelous. But I couldn’t see actually driving that thing down the freeway, never mind single-lane country roads that wrapped around some 4000-foot high mountain ridge. Alarmingly, she was REALLY getting in to it. “I’ll drive,” she said. “You be the Navigator!” I did not like the direction in which this was going. I took some pictures, we played around with imagining ourselves heading for The Grand Canyon or the Canadian border, and then we went to have a nice, civilized lunch at a restaurant that offered valet parking. 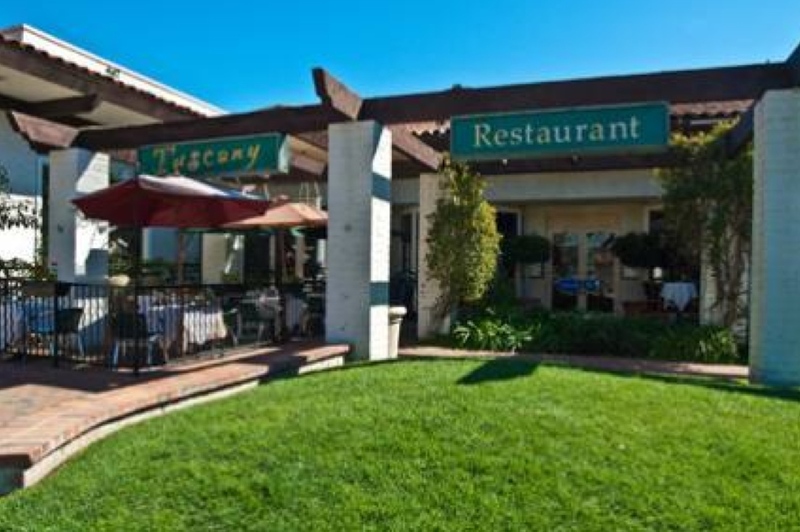 Tuscany was my idea of a a place with an ideal kitchen. 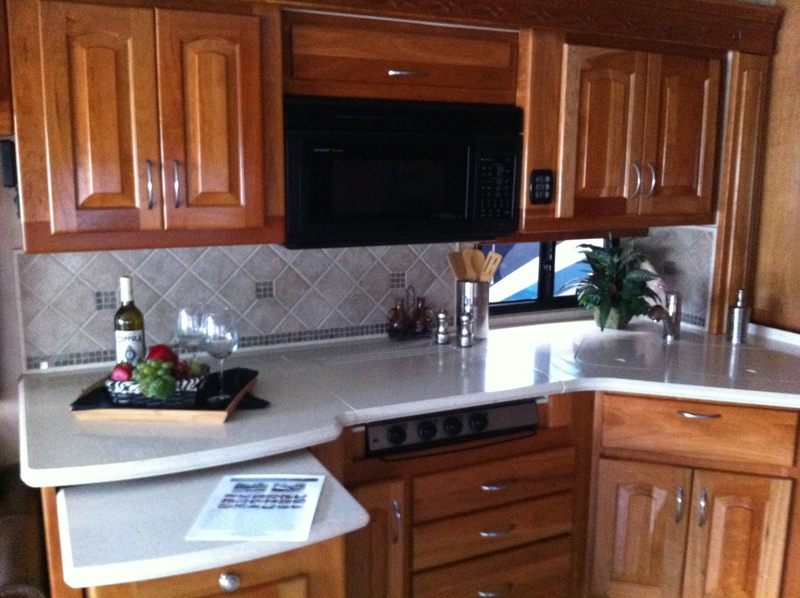 Beaver Galley: NOT my idea of an ideal kitchen. “Couldn’t do this with the Beav,” I whispered, as the waiter approached. She looked at me suspiciously. “Is that a ‘No?’” she said to me—“Shrimp Scampi and Crispy Straw Potatoes,” she said to him. 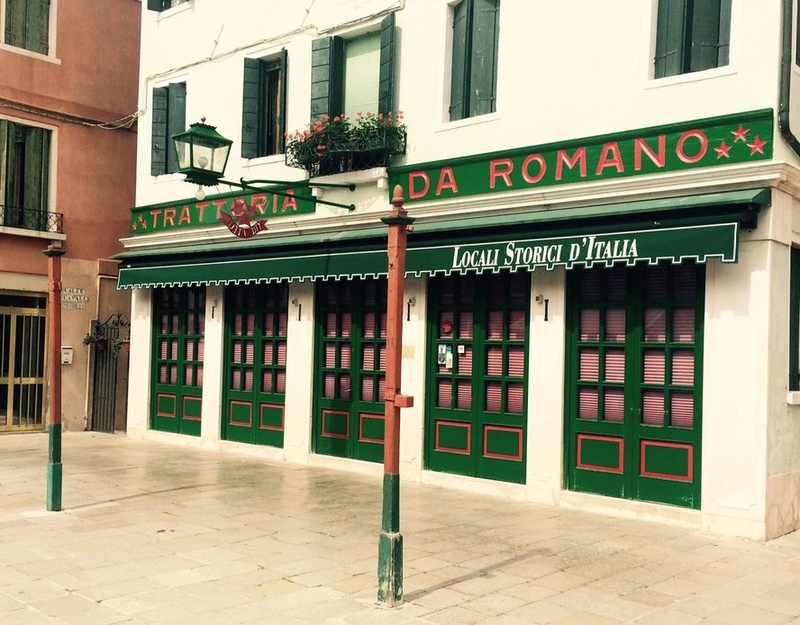 Trattoria Romano on island of Murano during visit to Venice and Rome and Florence. It’s pronounced “Gu” by the locals. 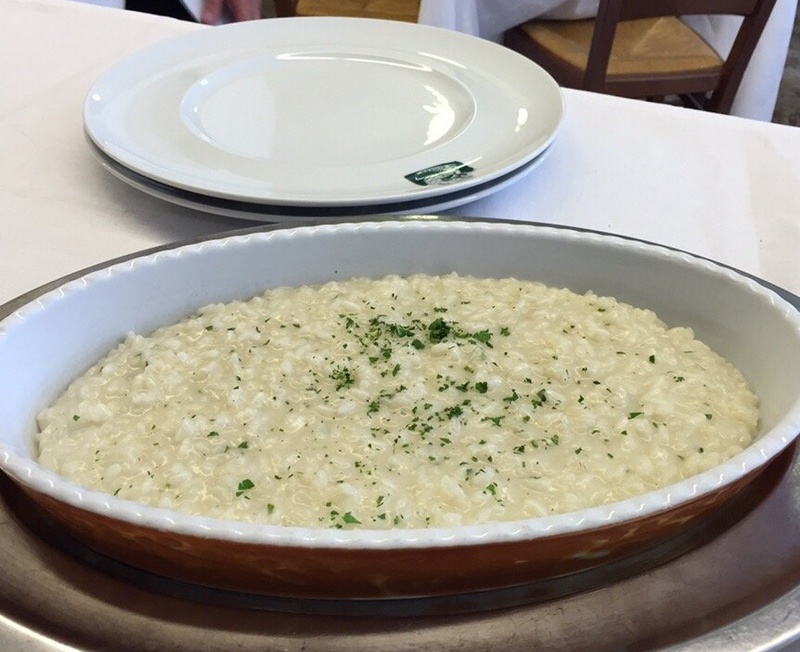 A fish infused risotto, it is the BEST I’ve had in the whole world! Thought to self: Well, no it won’t. But, for the money we spend on the Beaver, not that we’re going to buy it, we could maybe go to Italy again. ::Saves thought in back of brain for JUST the right moment:: I mean if we’re doing fantasy, hey, I write fiction! As soon as the waiter left the table, we laughed. It was a total ‘No’ to the Beaver, and we both knew it. First, we couldn’t really afford it. 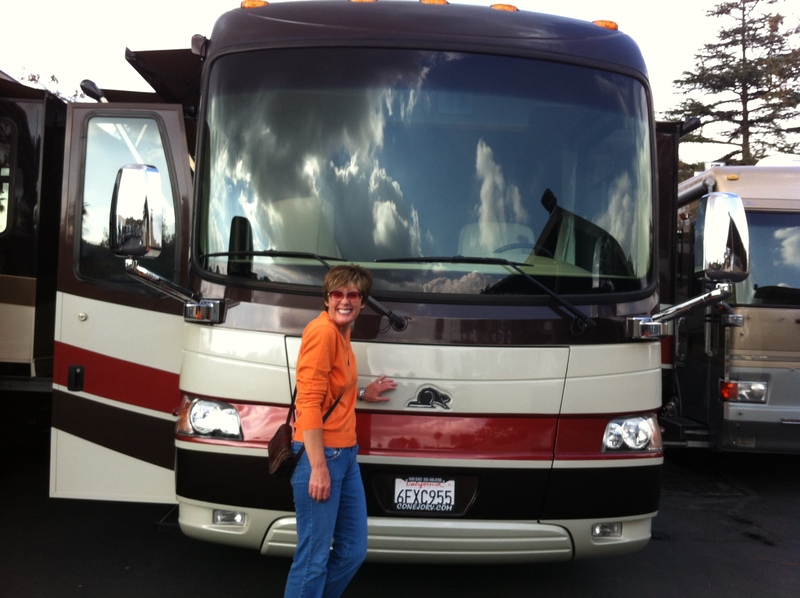 They wanted about $75,000, and that meant financing it, and no because: Fixed Income Retirement Up Ahead–Proceed With Caution, Objects and Price Tags in Side-Mirror Seem Smaller Than They Actually Are and uh, no! Uh huh. Trust me, we were this close to owning a Beaver. Thank God, I put my foot down. So, why, I ask myself, do I keep looking at things on wheels that one pulls with a car or things that have their own engines and sleeps two or 10? I love the Mercedes Sprinter with the Airstream upfit, for instance. But the one I want costs over $100,000. Couldn’t I buy a small atoll somewhere for that? Or two wonderful cottages in some unpopular but lovely place for that? Besides my own circumstances, I cannot in good conscience, even if I could afford these things, buy one with so many people homeless, so many Seniors without basic needs, so many women and children out in the world alone with diminishing resources. Not to get all dead serious about it, because I understand why we want these things. I’m just thinking we all need to rethink this big is better and more is better stuff. I could maybe see it if it’s your only dwelling…then again, for that kind of money, what about a nice apartment, a mobile or manufactured home, going in with a few people for a piece of land and some tiny or smallish pre-made houses? Even that sweet cottage is available, if you’re willing to go to an area that caters to Seniors or isn’t a big tourist destination. There ARE alternatives….and things to think about. It must be some innate human wanderlust in the DNA…we like to go places, see new things, have new experiences. But as I said in the prior post, the “thrill of inconvenience” never really appealed to me. I want my internet. I want my bed. I want my shower. I want my bathroom. This was NOT my idea of my bedroom. This was NOT my idea of my bathroom. But I did, finally, find the perfect vehicle for me. It has everything I want and less!!! It’s a concept car! That means it doesn’t exist, it won’t cost me anything, it seats five (or two adults, a Pug and a Ragdoll, plus luggage!) and it’s a heck of an idea whose time will no doubt come. I’ll let you know how it doesn’t drive! The Nimbus e-Car is a hybrid automotive design. 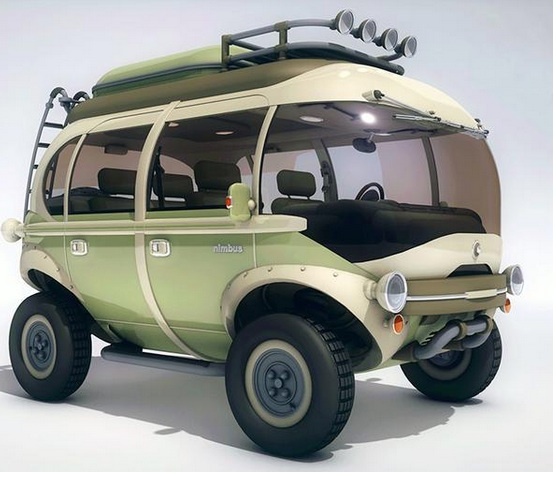 Created by Brazilian artist and designer, Eduardo Galvani, this all-terrain electric minibus is a concept e-car for energy conscious road warriors who also want to travel in cool. Priceless. With your usual wit and charm and humor, you’ve managed to touch on social consciousness….or lack of it by those who sometimes have too much. Thank you, Tarra, for being the person and the writer that you are. oh so SO much i want to say about this, but will give it some considered thought first. You are on my beam, TT. I totally get you, and also your wife, oddly. how can i be like both of you? Scary, how much this reminds me of myself and Melissa. And we’re about to embark on this journey! More on this later. For now, just know that this is probably my favorite blog post of all time. For your basic eReader--it's hard to beat a Kindle. Easy to use, take anywhere. You can be a complete tech dummy or a brainiac tech nerd, Kindle understands! What If You Read on Your Phone, Your Computer or Another device? No matter what piece of electronics you prefer to read your books on, you can read anything in the Amazon kindle library--MILLIONS of titles. Simply download the Kindle App to your device. Check it out: it's easy, it's fast, and there's almost no device (laptop, phone, tablet, desktop) that can't take the Kindle App.